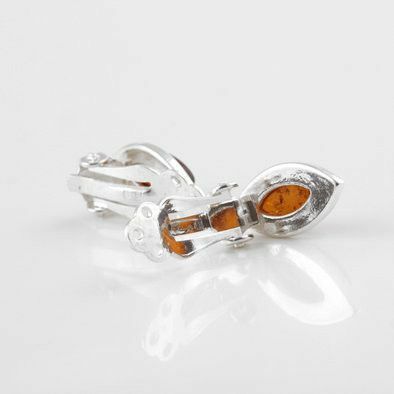 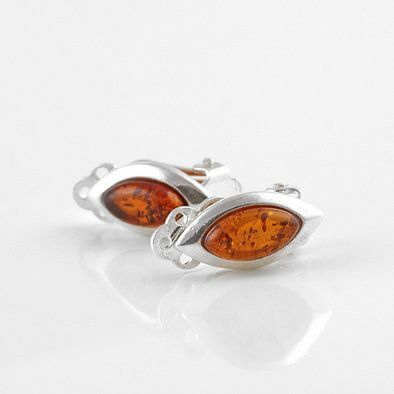 Each clip-on earring features a small, oval, authentic honey Amber stone with intriguing natural inclusions set in almond-shaped .925 Sterling Silver. 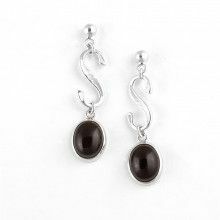 Classic, easy, and affordable jewelry! 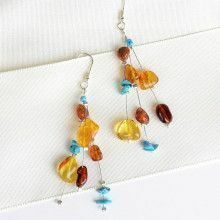 Earrings Measure about 3/4" x 1/4"